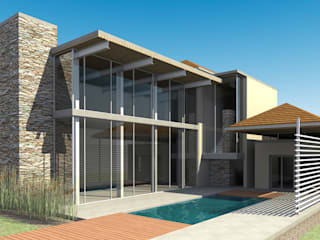 Professional Architect with the South African Council for the Architectural Profession. Registered as a 'Home Builder' with the NHBRC. Space Factory is a creative agency established to facilitate our client's aspirations through exceptional skill, professionalism and integrity while always adding value to our shared built environment. The firm's managing member and lead architect has 15 years industry experience and holds a Masters in Architecture Professional degree from the University of the Witwatersrand and is registered with the South African Council for the Architectural Profession as a Professional Architect. In every project we remain committed to the idea of 'place making' through considered architectural solutions that are aesthetically and functionally exceptional. 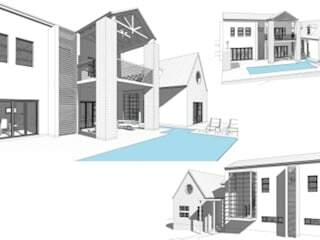 Our design approach is based on an in depth understanding of our client's needs, our expertise in architecture and the use of BIM technology. 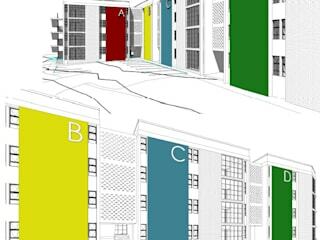 Through the use of 3D offerings we strive to ensure the client is a part of the design process and fully understands the proposed end product. We are registered with the NHBRC as a 'Home Builder' and for select clients offer a turnkey design - build solution, ensuring that design intent is carried through to the built end product. We also use our expertise in the National Building Regulations, Town Planning Schemes and general construction to offer Home Inspection services for prospective home owners or sellers, as well as Building Assessments and Due Diligence Studies for our commercial clients.